This week Nossal Institute for Global Health is a proud exhibitor at HSR 2018 - the 5th Global Symposium on Health Systems Research in Liverpool, UK. The Symposium brings together health systems researchers, policymakers and practitioners from around the world. 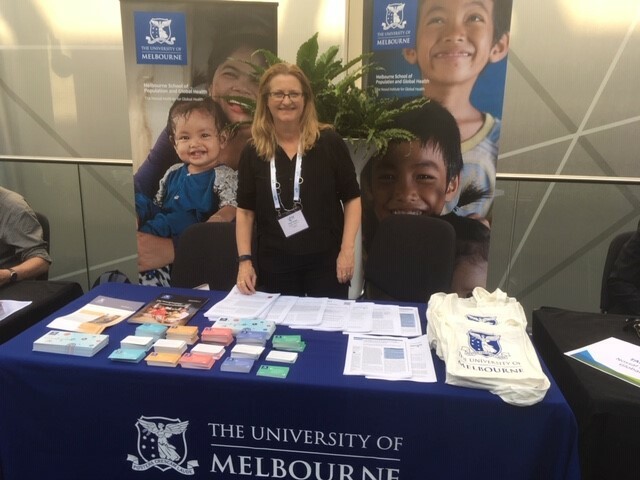 As experts in working with health professionals in the strengthening health systems, our team from Nossal is delighted to be involved in the Symposium. Pictured below is Alison Morgan, Nossal's Head of Maternal, Sexual and Reproductive Health Unit.